If you are self-employed in a home business or work as an independent contractor or freelancer, you don't have an employer withholding and sending taxes to the IRS or to your state, so it's possible you are required to pay estimated tax. You expect to owe at least $1,000 in tax for the current tax year after subtracting any withholding and refundable credits. According to the IRS website, sole proprietors, partners, and S corporation shareholders usually have to make estimated tax payments if they expect to owe tax of $1,000 or more when they file their federal tax returns. Shareholders with C corporations must pay estimated taxes if they expect to owe $500 or more when the return is filed. Estimated taxes are similar to the taxes an employer withdraws from a paycheck. If enough money isn't sent in during the year to cover your tax liability, you may owe taxes when you file your return in April. If you pay too much, you'll receive a refund. Further, if you don't pay enough tax by the due date of each of the payment periods, you may be charged a penalty even if you are due a refund when you file your income tax return. You have the option to pay your entire estimated tax liability for the year by April 15. If you file Form 1040 or Form 1040A by Feb. 1 (or the next business day if Feb. 1 is on a weekend or holiday) and pay any remaining taxes due, you don't need to make the payment due on Jan. 15. For most who are unemployed, this is nearly impossible since 1099 forms often arrive late. Like calendar-year taxpayers, you do not have to make the last payment if you file your income tax return by the last day of the first month after the end of your fiscal year and pay all the tax you owe with your return. To determine your estimated tax, calculate your anticipated adjusted gross income, deductions, taxable income, other taxes, and credits for that year. If you've filed self-employment taxes before, it can be easiest to work off your prior year's federal tax return as your starting point. Tax software programs will help you calculate your estimated tax liability. Additionally, the IRS provides instructions and a worksheet for calculating your estimated tax payments, which are filed with IRS Form 1040-ES. Keep the worksheet for your records and keep records of the dates on which you make your estimated tax payments throughout the year. 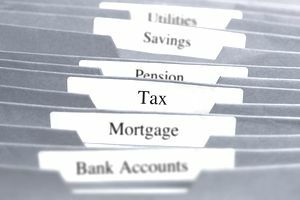 This information is critical for completing next year's return, and you will need it for calculating any interest or penalties resulting from underestimating your tax liability. Credit a refund from the prior year's return to the current year's estimated tax. Send in your payment (check or money order) with the corresponding payment voucher from Form 1040-ES. Pay electronically using the Electronic Federal Tax Payment System (EFTPS). You need to enroll for this service in order to use it, and you can set up one-time or recurring payments up to a year in advance. Enroll online at www.eftps.gov. You also can modify or cancel payments as late as two days before they are paid. Pay by electronic funds withdrawal. You can set this up when you electronically file Form 1040 or Form 1040A, at which time you can arrange to withdraw funds electronically for up to four estimated tax payments that follow. Tax software and tax preparers can set this up for you. Pay by credit or debit card using a pay-by-phone system or the internet through one of only three IRS-authorized card processors. You will be charged a processing fee, the amount of which will be provided to you at the time of payment. In addition to income tax, those who are self-employed are also required to submit estimated tax payments for their self-employment tax. The current self-employment tax rate is 15.3 percent and consists of 12.4 percent for Social Security and 2.9 percent for Medicare. This tax is essentially the same as the Social Security and Medicare taxes withheld by most employers, except that employers are required to pay half the tax, whereas those who are self-employed pay both halves. The Social Security portion is subject to maximum income limitations ($128,400 as of 2018).